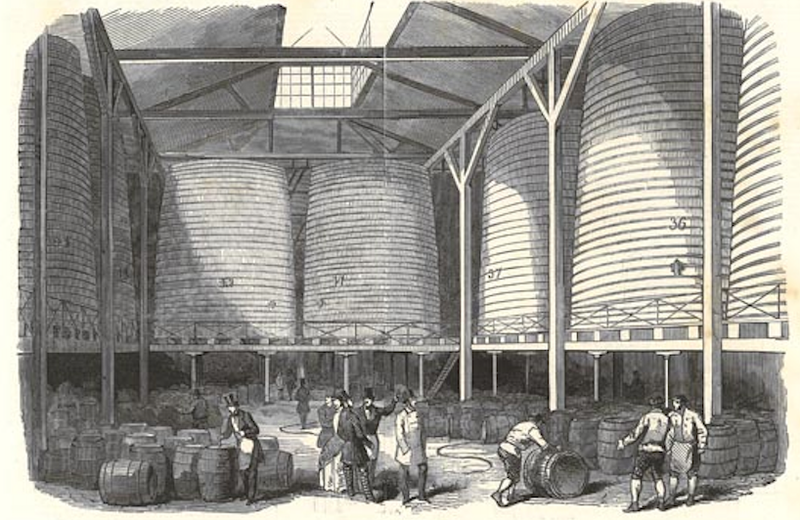 London has been beset by many tragedies: Viking invasion, plague, fire, V-2 rocket attacks…and a tsunami of beer that claimed the lives of eight people in the early 19th century. The location of the incident is familiar to anyone who has visited London: the famed Dominion Theatre at the crossroads of Tottenham Court Road and Oxford Street. Years earlier, the site had been occupied by the Horse Shoe brewery. On October 16, 1814, one of the iron hoops holding together a 23-foot-tall vat broke off. The tank burst, knocking over a second vat, sending a wave of London porter, equivalent to 2.5 million pints, smashing through a wall, killing a servant in the adjacent Tavistock Arms pub. The Morning Post described the disaster scene as an 'immense mass of ruins…the surrounding scene of desolation presents a most awful and terrific appearance, equal to that which fire or earthquake may be supposed to occasion'. The inundation of one of London's poorest areas with near-limitless quantities of alcohol no doubt had other effects. Secondary accounts talk of locals lapping up the free beer with gusto, and one man is said to have died of alcohol poisoning — though no evidence for this can be found in the newspapers of the time, nor the coroner's report of the incident. A jury deemed the beer flood to be an unfortunate accident, and nobody was arrested or fined. The brewery, however, never quite recovered from its financial loss and closed in 1921.